For many years, Netflix's original programming strategy has seemed to be: Go heavy on quantity, worry about quality later. Well, apparently 2018 counted as "later," because it's the first year that Netflix had more than one or two truly standout movies drive more than a weekend of cultural conversation. It turns out that spending up to $13 billion on original programming will probably earn you at least a handful of critically acclaimed films that will stand the test of time. But of the 69 (nice) Netflix original movies released on the streaming platform in 2018, which were the best? You've come to the right place, because below you'll find the 10 finest original films Netflix had to offer in the year of the Bird Box Challenge. For purposes of clarity and sanity, we only considered true Netflix originals (i.e. not movies distributed by Netflix in the United States but released theatrically elsewhere), and we omitted documentaries. 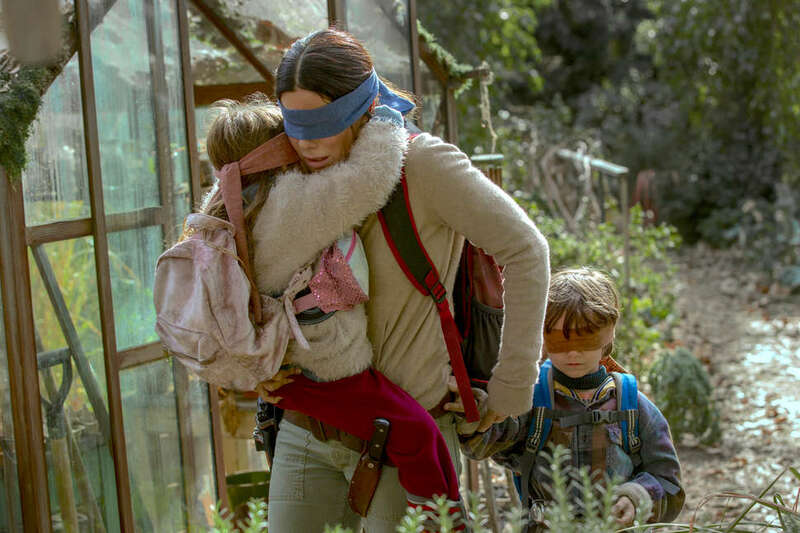 If you haven't watched Netflix's creepy horror movie Bird Box by now, where have you been? Sandra Bullock's newest film took the Internet by storm the weekend it premiered in December, prompting what seemed like everyone in the entire world to watch and share their horrified reactions (and responses to a dangerous meme challenge). Bullock plays Malorie, a suburban single woman who finds herself, along with a hodgepodge of other people, trapped in an apocalyptic nightmare involving creatures who cause people to commit suicide on sight. If you look at them, you die, so everyone has to run around outside wearing blindfolds -- and honestly, what horror movie trope is scarier than not being able to see? If you really dug A Quiet Place, but wish a different sense had been taken away from its main characters, Bird Box is for you. Set It Up is by no means the most important movie Netflix has produced, nor is it the most ambitious. But it's probably the one you're going to want to watch again and again. The streaming behemoth has been on a rom-com kick in 2018, and this film from director Claire Scanlon is one of its most delightful entries into the genre. It starts with a meet-cute that would play as well in 1948 or 1998 as it does in 2018: Two eager assistants (Zoey Deutch and Glen Powell) plot to set up their horror-show bosses to free up their own social lives. Naturally, our two underlings find their friendship of convenience blossom into something more. As with any good romantic comedy the trick is all in the casting; Deutch and Powell are captivating. Meanwhile, Lucy Liu and Taye Diggs -- playing the big bad boss people -- are old pros. It's the perfect film to watch late night, drunk, with some pizza. The traditional musician biopic, with its rags-to-riches beginning and its fall-from-grace conclusion, is a genre that's always in need of a remix. Roxanne Roxanne, a stylish chronicle of Queensbridge rapper Roxanne Shante's rise to fame in the 1980s, isn't the most formally adventurous take on hip-hop's early days -- the "life on tour" scenes and a corny appearance from a soon-to-be-famous young rapper named Nasir feel like standard showbiz fodder -- but director Michael Larnell has an eye for period detail, an ear for needle drops, and enough patience to let his performers shine on (and off) the mic. With humor and wit, Chanté Adams (as Roxanne) keeps you invested in every aspect of Shante's journey, from her early battles with her disapproving mother (Nia Long) to her harrowing fights with an abusive boyfriend Cross, played with tenderness and menace by Moonlight breakout Mahershala Ali. Like Shante's best rhymes, it's a tale told with dazzling craft and unwavering confidence. Unlike the Unfriended films or this summer's indie hit Searching, this web thriller from director Daniel Goldhaber and screenwriter Isa Mazzei isn't locked into the visual confines of a computer screen. Though there's plenty of online screen time, allowing for subtle bits of commentary and satire, the looser style allows the filmmakers to really explore the life and work conditions of their protagonist, rising cam girl Alice (Madeline Brewer). We meet her friends, her family, and her customers. That type of immersion in the granular details makes the scarier bits -- like an unnerving confrontation in the finale between Alice and her evil doppelganger -- pop even more. For his follow-up to his two action epics, The Raid and The Raid 2, director Gareth Evans dials back the hand-to-hand combat but still keeps a few buckets of blood handy in this grisly supernatural horror tale. 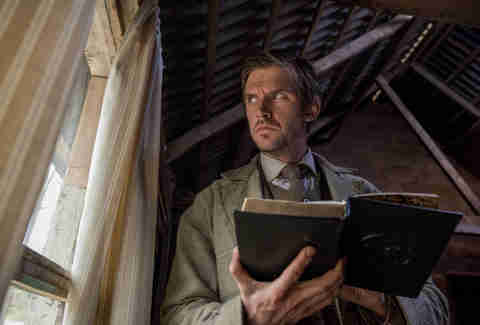 Dan Stevens stars as Thomas Richardson, an early 20th century opium addict traveling to a cloudy island controlled by a secretive cult that's fallen on hard times. The religious group is led by a bearded scold named Father Malcolm (Michael Sheen) who may or may not be leading his people astray. Beyond a few bursts of kinetic violence and some crank-filled torture sequences, Evans plays this story relatively down-the-middle, allowing the performances, the lofty themes, and the windswept vistas to do the talking. It's a cult movie that earns your devotion slowly, then all at once. Of all the entries in the rom com revival, this one is heavier on the rom than the com. But even though it won't make your sides hurt, it will make your heart flutter. The plot is ripe with high school movie hijinks that arise when the love letters of Lara Jean Covey (the wonderful Lana Condor) accidentally get mailed to her crushes, namely the contractual faux relationship she starts with heartthrob Peter Kavinsky (Noah Centineo). Like its heroine, it's big-hearted but skeptical in all the right places. Over a decade since the release of her last dark comedy, The Savages, writer and director Tamara Jenkins is back with a sprawling movie in the same vein: more hyper-verbal jerks you can't help but love. Richard (Paul Giamatti) and Rachel (Kathryn Hahn) are a Manhattan-dwelling couple who have spent the last few years attempting to have a baby with little success. When we meet them, they're already in the grips of fertility mania, willing to try almost anything to secure the offspring they think they desire. With all the details about injections, side effects, and pricey medical procedures, the movie functions as a taxonomy of modern pregnancy anxieties, and Hahn brings each part of the process to glorious life. Eventually, the pair recruits 25-year-old college dropout Sadie (Kayli Carter), the step-daughter of Richard's brother, to serve as an egg donor. Soon, they form their own unconventional family united by feelings of inadequacy and hope for the future. The final shot, which features a moment of silence after over two hours of near constant chatter, is one you won't forget. 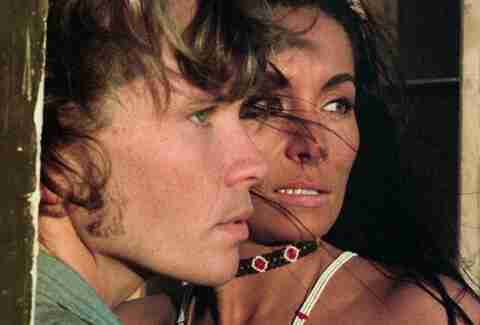 Don't go into Orson Welles' final film expecting it to be an easy watch. The Other Side of the Wind, which follows fictional veteran Hollywood director Jake Hannaford (tooootally not modeled after Welles himself) and his protegé (also tooootally not a surrogate for Welles' own friend and mentee Peter Bogdanovich, who also plays the character) as they attend a party in celebration of Hannaford's latest film and are beset on all sides by Hannaford's friends, enemies, and everyone in between. The film, which Welles hoped would be his big comeback to Hollywood, was left famously unfinished for decades after his death in 1985. Thanks to Bogdanovich and producer Frank Marshall, it was finally completed in 2018, and the result is a vibrant and bizarre throwback to Welles' own experimental 1970s style, made even more resonant if you know how intertwined the movie is with its own backstory. If you want to dive even deeper, Netflix also released a documentary about the restoration and completion of the film, They'll Love Me When I'm Dead, which delves into Welles' own complicated and tragic relationship with Hollywood and the craft of moviemaking. The Coen brothers gave some big-name-director cred to Netflix by releasing their six-part Western anthology on the streaming service, and while it's not necessarily their best work, Buster Scruggs is clearly a cut above most Netflix originals. Featuring star turns from Liam Neeson, Tom Waits, Zoe Kazan, and more, the film takes advantage of Netflix's willingness to experiment by composing a sort of death fugue that unfolds across the harsh realities of life and death in Manifest Destiny America. Not only does it revel in the massive, sweeping landscapes of the American West, but it's a thoughtful meditation on death that will reveal layer after layer long after you finish. All those billions Netflix spent will likely pay off in the form of several Oscar nominations for Roma, including one for Best Picture. 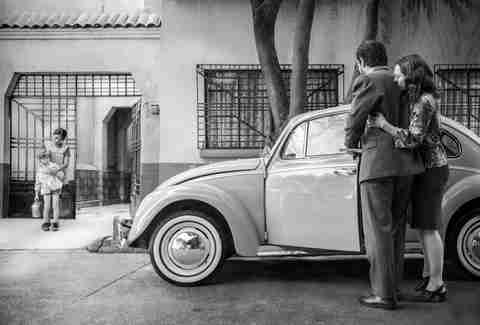 Whether experienced in the hushed reverence of a theater, watched on the glowing screen of a laptop, or, as Netflix executive Ted Sarandos has suggested, binged on the perilous surface of a phone, Alfonso Cuarón's black-and-white passion project seeks to stun. A technical craftsman of the highest order, the Children of Men and Gravity director has an aesthetic that aims to overwhelm -- with the amount of extras, the sense of despair, and the constant whir of exhilaration -- and this autobiographical portrait of kind-hearted maid Cleo (Yalitza Aparicio) caring for a family in the early 1970s has been staged on a staggering, mind-boggling scale. Cuarón's artful pans aren't just layered for the sake of complexity: He's often placing different emotions, historical concepts, and class distinctions in conversation with each other. What are these different components in the painstakingly composed shots actually saying to each other? That remains harder to parse. Still, there's an image of Cleo and the family eating ice cream together after a devastating dinner in the foreground while a wedding takes place in the background that you won't be able to shake. The movie is filled with compositions like that, tinged with careful ambiguity and unresolvable tensions.